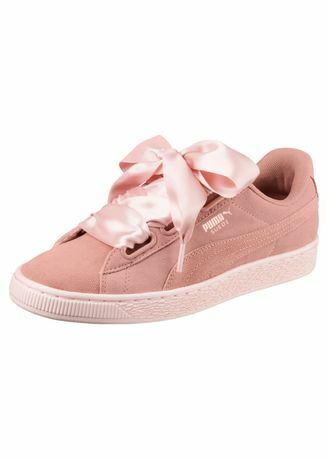 Definitely the most well-known and popular of all PUMA shoes and as part of every street community from the 80 s on, the Suede has even been involved in historical matters on a global scale. The Suede Heart Pebble features a tonal canvas upper with detail and interest on the toe, formstripe and heel tab, on top of the narrow colored suede tooling. The shoe also gets the new "Heart" treatment with XL Ribbon replacing the classic lacing for a more feminine look.